he Pioneer Valley Planning Commission (PVPC) collects daily traffic count information at sample locations across the 43 cities and towns in Hampden and Hampshire Counties under contract with the Massachusetts Department of Transportation (MassDOT). MassDOT requests specific traffic count locations each year as part of PVPC’s3C contract. Additional counts are conducted for member communities on an as requested basis (up to 2 free counts per calendar year) and for private businesses for a nominal fee. 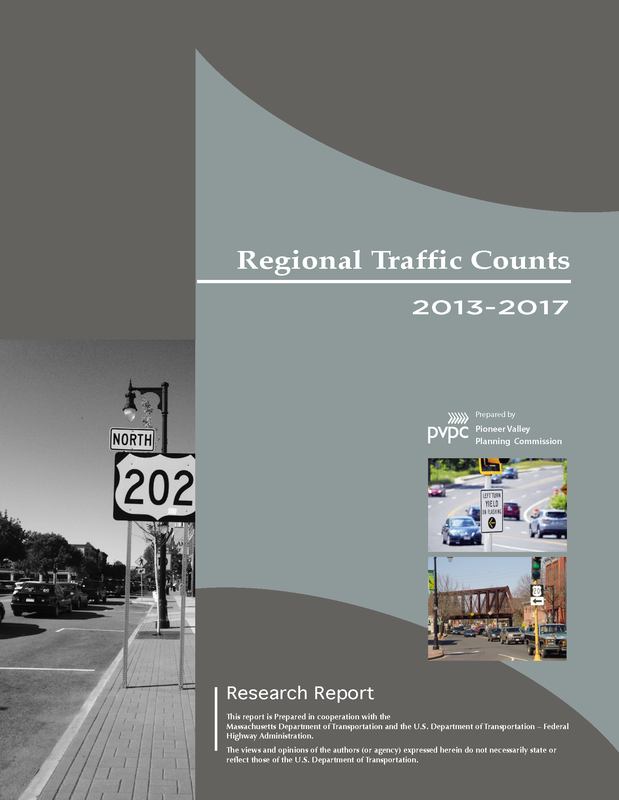 The PVPC also selects its own traffic count locations to supplement data collection activities required as part of ongoing corridor studies, the regional congestion management system, the regional pavement management system, and the regional transportation model. In addition, the PVPC houses shared traffic counts performed by a member community.